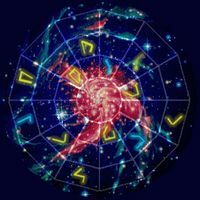 However, Mundus is the hub of the Wheel, the heart of all creation. Its secret is that this hub is "the reflection of its creators, the circle within the circle". A microcosm allowing one to perceive the Tower without leaving the Aurbis, making it much easier to see. Those who can stand in this flux of reality yet remain whole of mind may look at it sideways and see the “I”. This is the secret Tower. [UOL 1] Those who reach a true understanding on the nature of the universe, the nature of the Tower, are sometimes said to know a "Right Reaching". 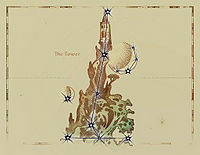 Vivec also wrote of the "secret triangular gate" of the Heart of Lorkhan through which mortals could perceive the secret Tower. In various times and ways throughout history, the connection between a Stone and its Tower has become compromised, apparently resulting in the deactivation of whatever protection that Tower had afforded Mundus. The deactivation of a Tower is believed to pose the greatest possible threat to the very existence of the mortal realm. As such, mystics can become alarmed at mere interest in the subject among the common folk. It should be kept in mind that the designations below ("Ayleid", "Dwemer", etc.) are metaphysical and conceptual in nature, as no race is of a single shared mind. [UOL 2] The Towers are first and foremost metaphysical concepts, and the constructs representing them are mere physical echoes. Below are the most well-known of the Towers, though it is possible others may exist. And in some instances, a Tower's physical avatar within Mundus has been inferred. Auri-El launched the Heart of Lorkhan across the world because he could not destroy it. It is the Heart of the World, and merely laughed at his efforts. As the Aedra sought to leave the world for its own good at Convention, the raw power of the Heart was essential in order for the world to survive in their absence. Thus, the Heart became the First Stone to the second Tower. It imbued Mundus with a special kind of divinity: NIRN ("the Grey Maybe" in the language of the Ehlnofey), the consequence of variable fate. [UOL 2] The Dwemer found the Heart buried deep beneath the mountain, and High Craftlord Kagrenac sought to harness its power in the building a mechanical god for the Dwemer. But that is the story of the Tower of Walk-Brass. The white interior of the tower was said to radiate light. Little is known of the Stone of Crystal-Like-Law, but it is said to have been a person. [UOL 4] For the people of Summerset, the tower was the heart of their homeland, a heart which was ripped out during the Oblivion Crisis. Before Martin Septim could close shut the jaws of Oblivion, the hordes of Daedra attacking the homeland of the Altmer were able to use magic to topple their tower. Crystal-Like-Law had fallen. However, appearances may be deceiving, for this bastion of sorcery seemingly transcended normal conceptions, existing in many planes other than Mundus. The Prophecy's reference to the Snow Tower has been widely construed as referring to the plight of Skyrim during the Stormcloak Rebellion, wherein High King Torygg was killed and the province was launched into a bitter civil war. Thus, the Prophecy helps illustrate that a Tower is far more than the physical echo associated with it. For it was not the Throat of the World which was left sundered, kingless, and bleeding. That was the Nordic people. When Anumaril fled to Valenwood, he still carried with him Segment One. He asked the Great Camoran to show him Green-Sap, and was brought to one that by happenstance stood then in Elden Root. There, he found a Perchance Acorn. To this golden nut, Anumaril showed the segment. For the first time, the greensong knew only one ending. And so, that ending became definite, and the Perchance Acorn became a Definite Acorn. Accordingly, the Bosmer's Tower became definite, as well: the Elden Tree, also called the First Tree, or the Great Tree, which is found in the Elden Grove. Life itself seems to be stronger around it, and it is believed by many to be the tree that seeded all of Valenwood. Due to Anumaril's fanglement, the Elden Tree would not walk again. Using his dentition as tonal instruments, Anumaril dismantled his bones and built of them a Mundus-machine that mirrored Nirn and its planets. And when he had used all his substance in fangling this orrery, the Orrery of Elden Root, he placed the segment-sceptre within, hiding it between the Moons. Through these efforts, he had hoped to convert Green-Sap into White-Gold, and thereby remake the Ayleids' realm. But Anumaril's plan went awry for reasons he could not have anticipated. His Ayleid magic was concerned with "Will, and Shall, and Must—but under Green-Sap, all is Perchance". 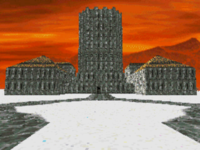 Orichalc is one of the most mysterious of the Towers; little is known beyond the name. [UOL 2] Some Redguards venerate Diagna, the "Orichalc God of the Sideways Blade", an avatar of the HoonDing which managed to "achieve permanence" and thus entered into the pantheon of the Crowns. The Stone of Orichalc was a sword. [UOL 4] It is suspected that Orichalc was found in Yokuda, and may have been related to the Lefthanded Elves. With Yokuda evidently gone, this Tower is most likely gone, as well. In Walk-Brass, also called the Brass Tower and the Brass God,[UOL 5] the Dwemer sought to make their own god. Their ambulatory, usually anthropomorphic Tower is better known to most as Anumidium, the Prime Gestalt, the divine skin. [UOL 2][UOL 5] The book Divine Metaphysics is an explanation of how the Dwemer planned to make this new god using Kagrenac's tools and the sacred tones on the Heart of Lorkhan. 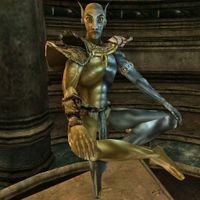 Pieces of the golem, called Numidium, fell into the hands of the Tribunal, who eventually traded them to Tiber Septim as part of their Armistice with the latter's Empire in 2E 896. In the town of Rimmen in Elsweyr, Anumidium was slowly reassembled and finally activated. Though it was meant to be infused with the Heart of Lorkhan, Tiber's Battlemage Zurin Arctus devised a way to create the Mantella to function as the Numidium's heart. This was a mere copy of Anumidium and not as effective, but Tiber was still able to conquer the whole continent, becoming the first Emperor of Tamriel and ending the Second Era. This copy was used again in 3E 417 to bring about the Miracle of Peace in the Iliac Bay region, but it was apparently destroyed in the process. These successes served as inspiration for a new golem, known as Akulakhan or the Second Numidium, which Dagoth Ur was building beneath Red Mountain as part of his plan to drive the foreigners out of Morrowind and then conquer Tamriel. Like Anumidium, Akulakhan was to be powered by the Heart of Lorkhan. It was destroyed by the Nerevarine in 3E 427 when he freed the Heart from Kagrenac's bindings.